Get ready to stun in this midi dress. 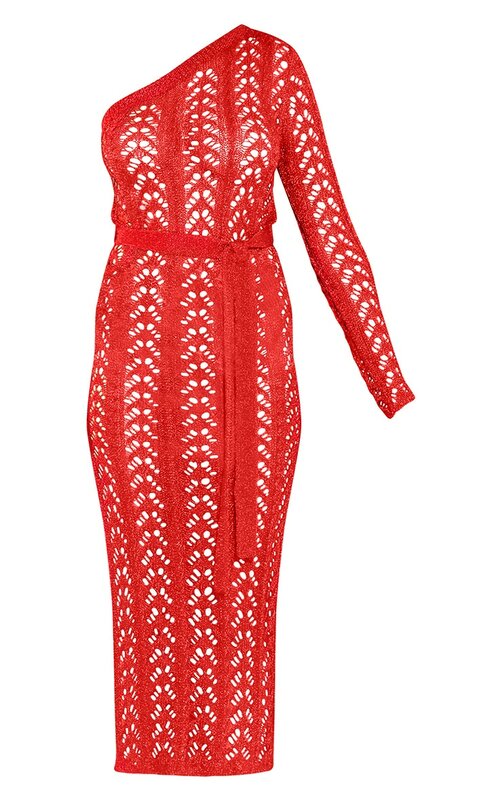 Featuring a red metallic knit fabric, one shoulder style and a tie waist, what's not to love? We love this teamed with strappy heels and gold accessories, doll you'll be feeling a million dollars.